Resourcedictionary :- These resource objects are stored in a resource dictionary. XAML resources are definitions that can be shared and re-used throughout a Xamarin forms application. 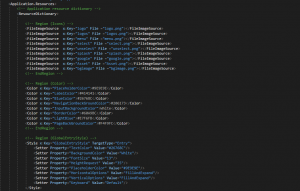 This blog explain how to create and consume a resource dictionary. Placing styles and other resources in your ResourceDictionary is a great way to reuse these elements through your page or application. Typical resources that are stored in a ResourceDictionary include styles, control templates, data templates, colors, and converters. 2. 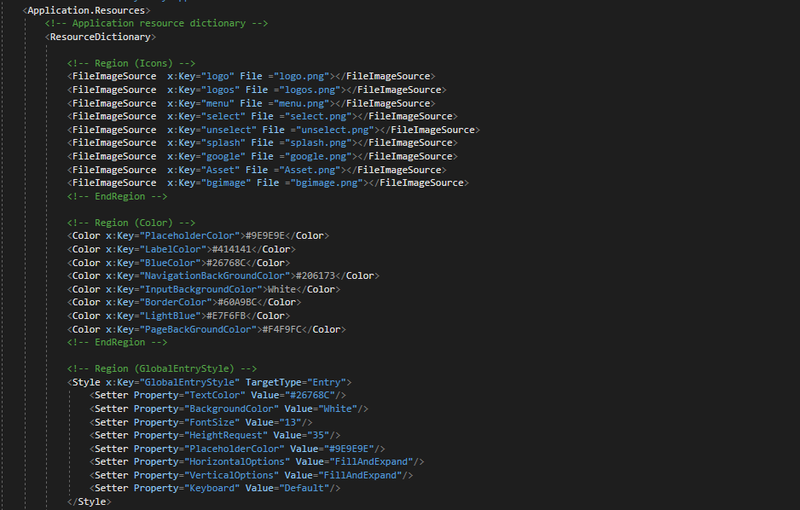 Write some code in App.xaml file for ResourceDictionary. Hopefully this will help you to understand . What is Resourcedictionary and how to used in Xamarin.Forms .